(IDEX Online) – ALROSA, the world's largest diamond miner by volume, sold $383.7 million of rough diamonds in June, and $2.64 billion worth in the first six months of 2018. ALROSA also sold polished diamonds with a value of $6.6 million last month, and $49.9 million for the first half of the year. "Demand for the whole diamond assortment remains stable allowing the company to obtain good sales results. Sales in June were 35.5% higher against May this year, and 7% higher compared to June last year. 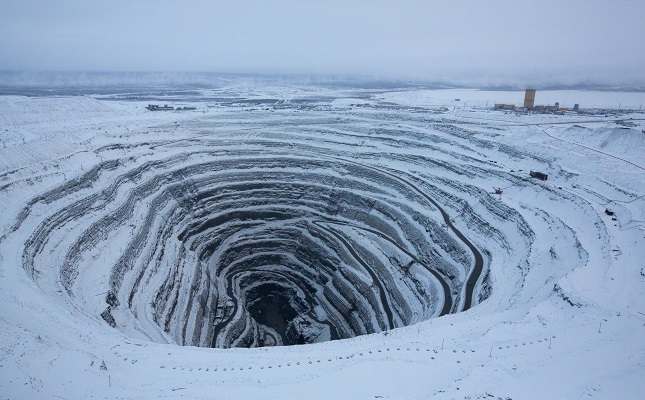 Altogether, in the second quarter, there was almost no noticeable seasonal drop traditional for this period," commented on the sales results ALROSA Deputy CEO Yury Okoemov.